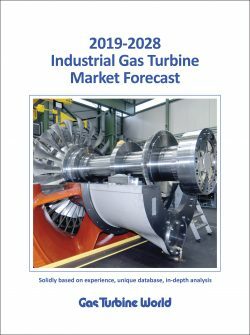 GE’s 6B gas turbine has a lengthy history, with the first unit being installed in 1978 in Montana-Dakota Utilities Company’s (MDU) Glendive power plant in Montana, USA. The unit is still operating. Overall, the 6B gas turbine fleet consists of 1150 units globally, of which over 900 are still in operation, with 55 per cent in continuous operation. These have collectively achieved over 65 million operating hours. The 6B gas turbine operates in every major region around the world, including Asia, Europe, China, North and South America, and the Middle East. It is used in direct power generation applications, district heating, petrochemical, oil and gas, and pulp and paper industrial segments. It has a global fleet reliability of greater than 98 per cent, and has a high level of fuel flexibility, being able to run on high H2S gas, propane, ethane, syngas and refinery gas, high hydrogen gases, liquid fuels, and heavy fuel oil. 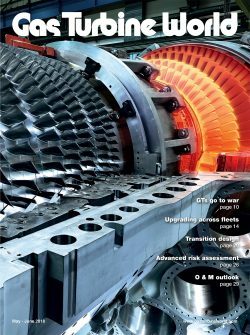 With reliability being a primary feature of the 6B, GE Power Services has launched a 6B repowering solution and in September signed its first agreement for the solution with a chemical company to repower three 6B gas turbines at its site in Asia, with the first unit repowering due to be completed in mid-2019. GE distinguishes between repowering and upgrading by referring to the replacement of an entire engine as repowering, while upgrading is the replacement of individual components within the engine. GE has designed the 6F.01 repowering of the 6B such that it is a straight replacement, fitting in an identical footprint. The foundations, inlet connections, and generator attachments need to be easily reusable – ideally identical – to enable easy replacement. The time taken to replace a unit is a critical factor. Currently, GE can carry out a flange-to-flange replacement on the same time-scale as a major maintenance outage, in around 28 days. A full repowering replacement takes longer. At present, it takes two to three times the length of time that a flange-to-flange replacement takes although Ryan Hooley, General Manager of Product Management for GE’s Power Services business in the B/E class fleet, says that GE’s objective was to get this figure down to 40 days, noting that “this is what the market demands”. Repowering provides significant improvements in performance, as it gives the facility the latest engine technology, giving 6B reliability with the technical enhancements available from the F- and H- designs. The key to repowering is maintaining and enhancing reliability. Reliability of the engine is the most critical factor, with the 6B achieving a fleet reliability of 98 per cent, around 2 per cent greater than the average for engines of comparable output. Previously, GE had won an order for the single nozzle syngas retrofit with water injection of nine 6B gas turbine units installed at the world’s largest oil refinery, Reliance Industries Ltd, located at Jamnagar in Gujarat, India. This retrofit will help the plant operator to run the gas turbines on syngas. This provides significant savings in fuel cost for the plant operator. The key feature of a repowering is the improvement of performance in terms of output and efficiency, while maintaining the robust reliability demanded by customers of the legacy unit. In addition, extending maintenance intervals is a valuable enhancement. Extending these intervals means greater turbine availability, and hence greater revenue-generating potential for the operator. Previously, combustion inspections took place at intervals of 8000 operating hours. The need for these inspections to take place separately has been eliminated. 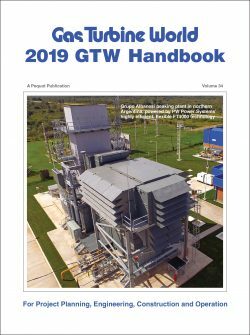 Hot gas path inspection intervals have been increased from 24,000 operating hours to 32,000 operating hours, and major inspection intervals have been extended from 48,000 operating hours to 64,000 operating hours. This extension between inspection intervals results in an additional 43 days of operation across an average major inspection interval, which roughly equates to an increase of 1.4 percentage points of availability. Turndown to 40 per cent. 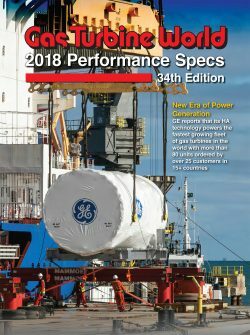 Part of GE’s Fleet360 platform of total plant services solution, the 6B Repowering Solution incorporates FClass and H-Class gas turbine technology to increase the performance of the 6B to industry-leading levels for its class. The repowering consists of a full flange-to-flange upgrade of all major components, including the combustion system, hot gas path, and compressor. These transform the 6B unit into a GE 6F.01 gas turbine, which is also available as a new unit. The upgrade also incorporates a hotend drive with a new exhaust frame and radial diffuser. This is a design scaled from the 6F.01. The predominant obstacle to repowering is the life-cycle cost of generation. Mature plants may also be facing significant investment requirements to support continued reliable operation of the asset, such as rotor end of life, casing adjustments, or replacement. This, combined with the step-change in performance, can be challenging, as they are generally fully paid-off assets where generating costs are limited to variable expenses arising from fuel and operation and maintenance. More stringent emissions limits reduce that hurdle, as mature plants need to install mechanisms to reduce these in order to avoid closure. Hooley says that repowering of the 6B turbine was viable globally. However, he anticipated that there would be noticeable peaks of demand from Asia, India, and Europe. “Asia and India face increasing demand for power, and the increase of power output available from repowering makes it an attractive option in these regions, while Europe has a significant mature industrial base that needs upgrading options,” he said. GE said that the repowering solution will enable operators to achieve up to $3 million a year in fuel savings per unit, as well as a power output increase of up to 25 per cent once installed. 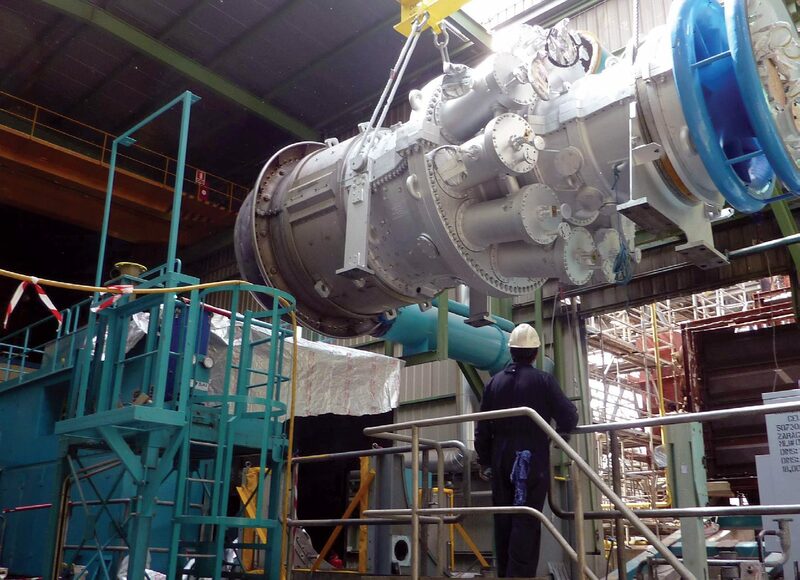 GE has announced that it has signed its first agreement for the solution with a global chemical company to repower three 6B gas turbines at its site in Asia. With its large installed base of 6B units in operation around the world, and constant demands for improved performance, there is almost certain to be considerable interest in the possibility of repowering options. GE expects that the first agreement for three units in Asia will be the first of many.